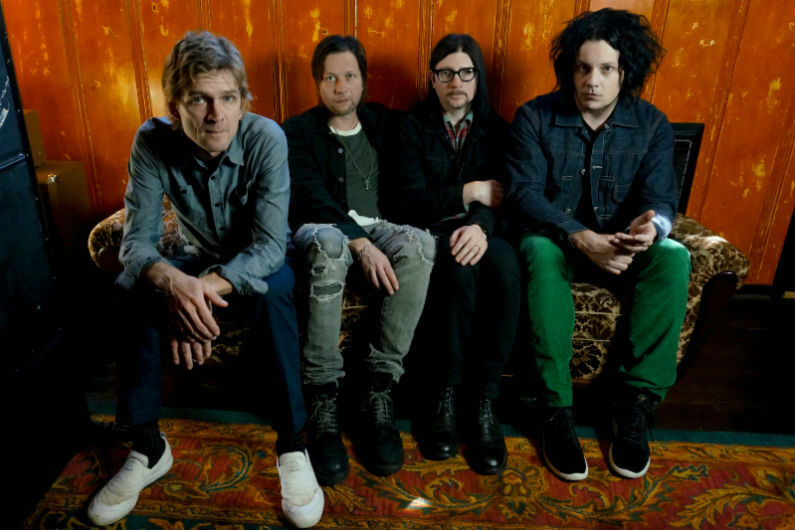 The Raconteurs continue adding to their 2019 schedule. Today they added more North American tour dates, following the announcement of a European tour. The Raconteurs made their long-awaited return to the stage at the Third Man Records "Ten Years" anniversary show in Nashville earlier this month. The North American leg of the tour is scheduled to begin in July and extend into October. The European concerts are scheduled for May to June, stopping in England, France, Belgium, Denmark, Germany, Netherlands, and Poland. The band just finished shows in New Zealand and Australia, and play their lone Asian concert tonight in Tokyo. The band — which consists of Jack White, Brendan Benson, Jack Lawrence, and Patrick Keeler — had been on hiatus since 2011 until releasing a couple of new songs at the end of last year: "Sunday Driver" and "Now That You're Gone." Those tracks will be included on a new album titled Help Us Stranger available June 21, 2019. When do The Raconteurs 2019 tickets go on sale and what is the presale code? Tickets for their previously announced dates are now on sale. For the new shows, the general public on-sale begins as early as April 26 at 10 am local time. Presales for American Express cardmember, Live Nation, LN Mobile App, Facebook, and local venues / radio presales will follow. The artist presale code is RACONTEURS. For the American Express presale, you can use the promo password INGOLD, but you will need the card to complete your purchase. The Live Nation / Ticketmaster password is VIBES and the LN Mobile App code is COVERT. Keep in mind, each date is different and details are subject to change. Click through the individual concert links for more information about the show you're interested in. We recommend following The Raconteurs on their social media accounts and signing up for the Third Man Records email newsletter (middle of page), in addition to signing up for your local venue's email newsletter, to get the most up-to-date information. For concert tickets and more, check out The Raconteurs Zumic artist page.